If you’re looking for really great Windows 7 Training you’re in the right place. Companies large and small choose us – why? Your own tailored, Windows 7 Training course, at your own premises at the same price as a standard course from elsewhere. During your Windows 7 training, you will learn how to organise and manipulate files and folders. You will learn how to create new folders and delete unwanted files and folders. You will pin applications to the Start menu or Taskbar. You will personalise the Desktop, and search for files and folders within the system. You will understand basic print management features. 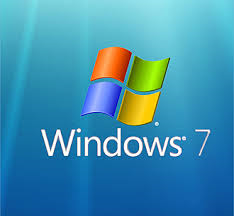 All our trainers are very patient and will ensure you gain a good understanding of the Windows 7 operating system. Paragon Community Housing Group, etc. We deliver Windows 7 training in London, Bristol, Cardiff, Birmingham, Bath, Swindon, Reading, Bracknell, Newport, Swansea, Hounslow, Kingston, Staines, Croydon, Leatherhead, Surrey, Reigate, Redhill, Dorking, Weybridge, Walton, Epsom, Esher, Ewell, Woking, Banstead, Ascot, Heathrow, Uxbridge, Ealing, Surbiton, Farnham, High Wycombe, etc. This course aims to introduce delegates to the desktop environment and Windows 7 operating system.